Opioid addiction and over dose deaths impact every population in the United States from urban areas to rural farm communities and knows no boundaries racial or economic. Every community is impacted. Community pharmacies are playing an important role in stopping this epidemic. Opioids are one of the top prescribed medications in the United States.Patients are prescribed opioids for pain that many times can be adequately addressed with a less addicting and less powerful medication. Opioid prescriptions are issued for quantities well above what would be considered appropriate therapy for minor pain. With significant quantities being prescribed, many opioid prescriptions are not finished by the patient and are stored in the household for potential future pain and easily accessible for abuse and diversion. Other controlled substances are also adding to the problem. Drugs for attention deficit disorder, severe arthritis and many other disease states are contributing to the epidemic. Rite Aid has developed an expanded link on our web-site to provide consumers with information relating to how the consumer may dispose of their unused or expired medications properly. Numerous government agencies provide direction on proper disposal of these medications with the least amount of impact on the environment. 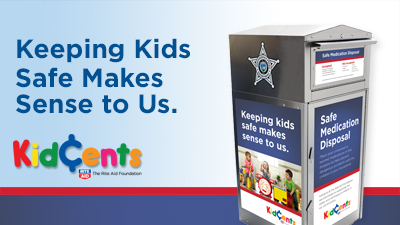 Many local law enforcement agencies have drug take back receptacles in their building for the proper disposal of the unused or expired medications. The Food and Drug Administration has developed protocols for the proper disposal of certain medications with routine trash removal. The following list of web-sites will provide consumers with proper disposal protocols and an easy way to identify where in their community they can dispose of unused or expired medication. 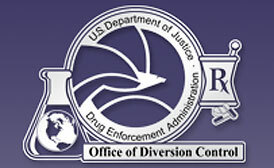 In addition, the Drug Enforcement Administration holds a DEA Drug Take Back event every 6 months and partners with local law enforcement to get the drugs off the streets. Find a drug take back receptacle. All company names are trademarks™ or registered® trademarks of their respective holders. Use of them does not imply any affiliation with or endorsement by them. The DEA, AWARERX, FDA, SAMHSA and logos are not authorized by, sponsored by, or associated with the trademark owner.